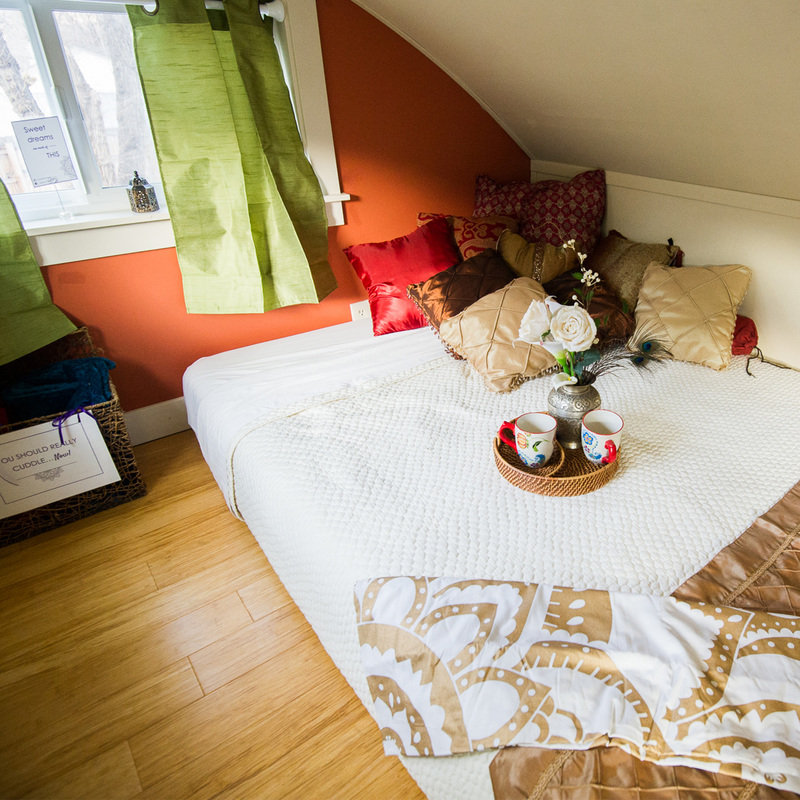 The Lilypad features a romantic aesthetic that any bohemian-at-heart will fancy. 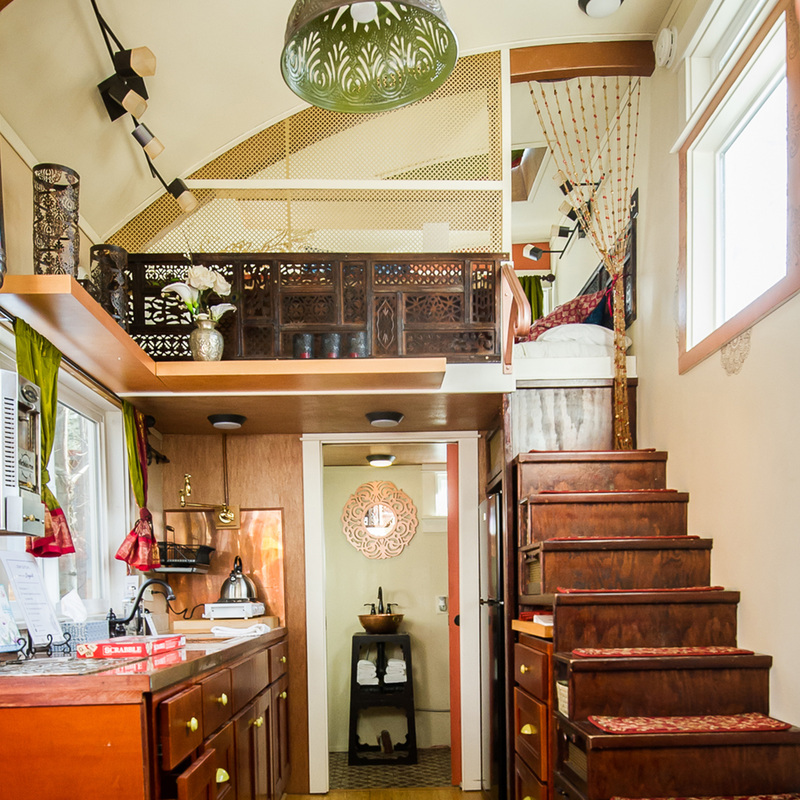 At 24 feet long, this custom tiny house features 2 sleeping lofts plus a private bedroom downstairs with a pocket door to sleep up to 6 people. 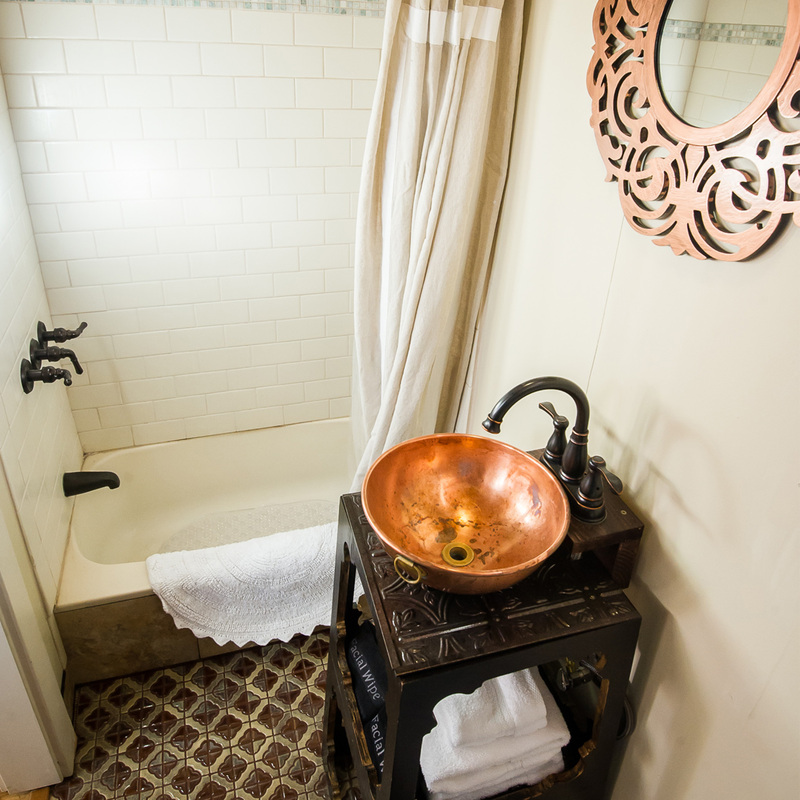 The bathroom features a shower/tub, flushing toilet and sink. 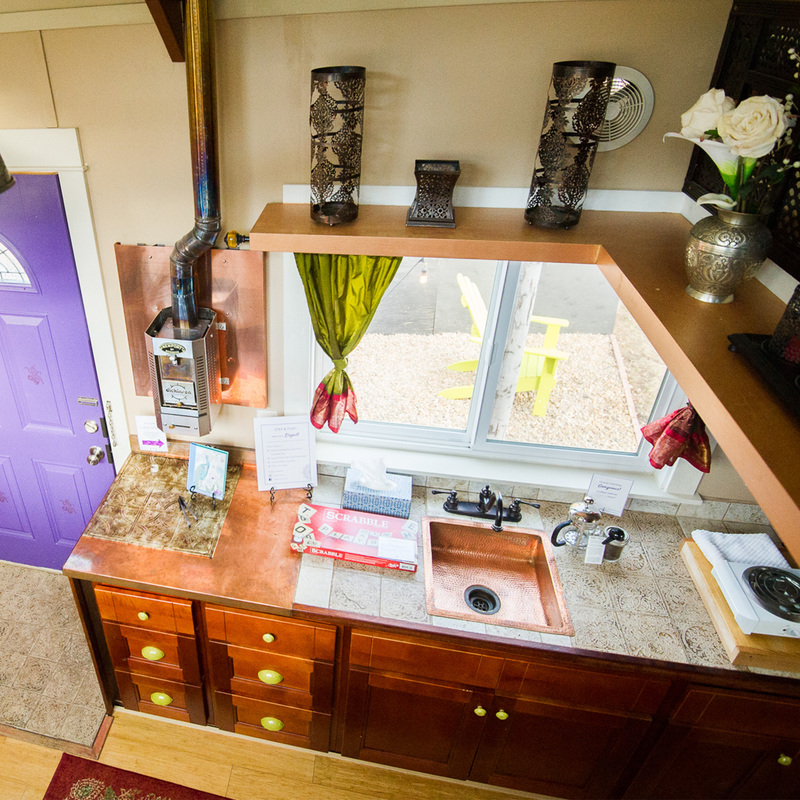 Kitchen includes a full-size fridge, sink and double burner cooktop. 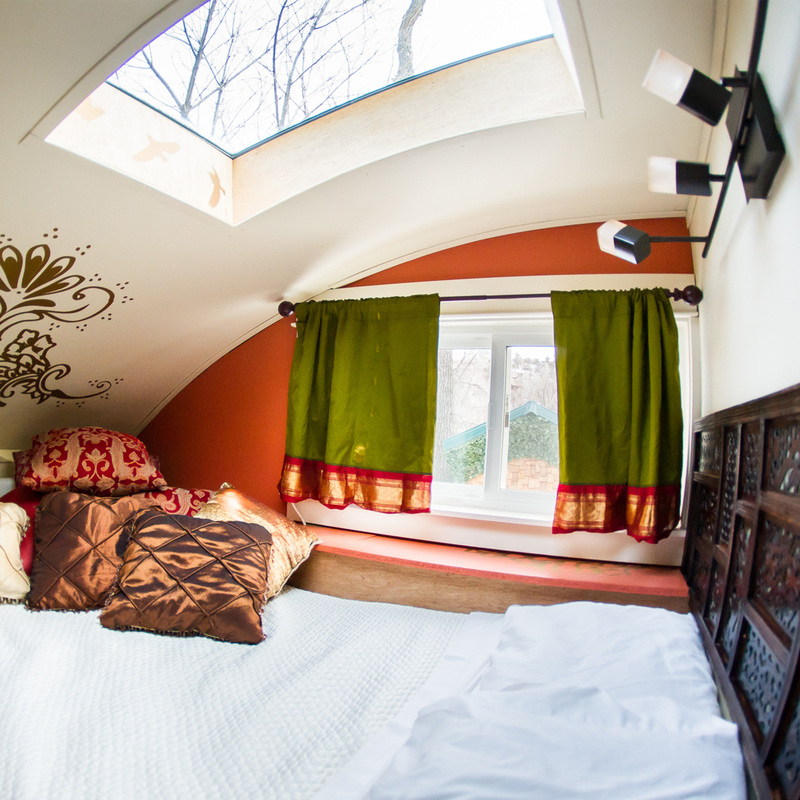 Abundant natural light and a skylight. Lilypad has been showcased in Mother Earth News, Treehugger, and Inhabitat!